Home » What Is Alexa » How To Add Blog/Website To Alexa? 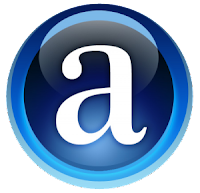 Alexa is an official Website & company introduced to give ranking to each website on the internet. We add our website to alexa to analyze ranking of website on daily basis. Alexa also show the traffice details of the websites which are in range of 1 lack. There are millions of blogs and website on internet and increasing day by day. Alexa gives a number to each site on internet. Google is on no 1 under Alexa and Facebook is on no 2. How To Add Blog or Website To Alexa? In this post I will tell you how to add your blog to alexa.com. To add your blog to alexa you have to follow some steps which are giving below. 2: Now on top right corner you will find the option of create account. Click on it. 3: A page will appear requiring email id and nick name. Fill these empty bars and click on Register. 4: Now go to your email id’s inbox and check email received from alexa. 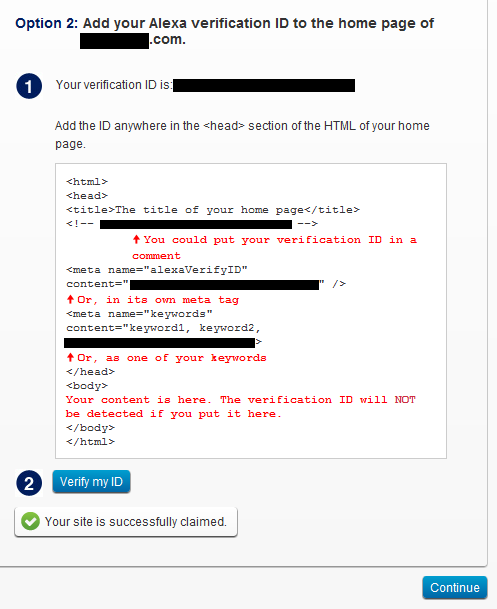 In email you will find a confirmation link to verify your email id. Click on this confirmation link and verify your email id. 5: This link will lead you to your alexa dashboard. Now you are a registered member of alexa. 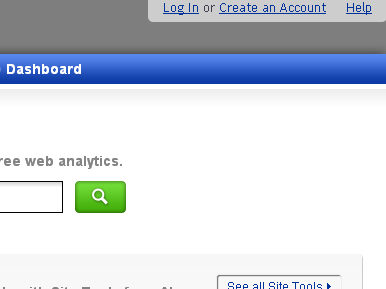 6: Now click on the option Site Info and search your blog in search bar. 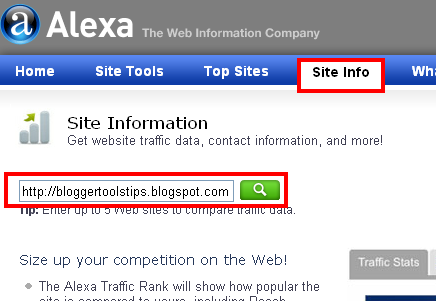 7: Here you can fine the status of your blog about ranking and links under alexa. So click on Get Details. 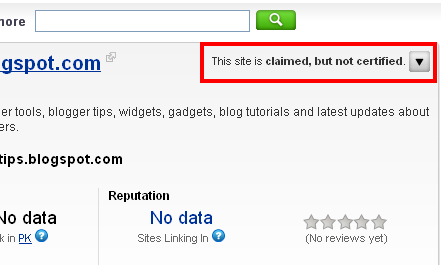 8: You can see the option This Site is Claimed because my blog is already added to the alexa. But when you will click on drop down list. You will see the option Claim This Site. So click on it. 9: Now you will find a code given by alexa. You have to add this code to your blog as per alexa instructions. And after adding this code click on Verify My ID. If alexa will find that code in your blog there will be a green tick signal. And you have to click on Continue. 10: Now you have to fill the details form for your blog. Which is include description, keywords, name, contact information etc. You can fill form according to your informtion. Contact details are optional. If you still have any problem. Ask freely through comment box. And give your response also about the post. Very well explain easy to follow your instruction and put our blog or website to Alexa properly. good stuff you are doing here..